Ghanaian Highlife music legend Daddy Lumba gave a stunning performance at the just ended Afrochella Festival which was held at the Elwak Sports Stadium in Accra, Ghana. 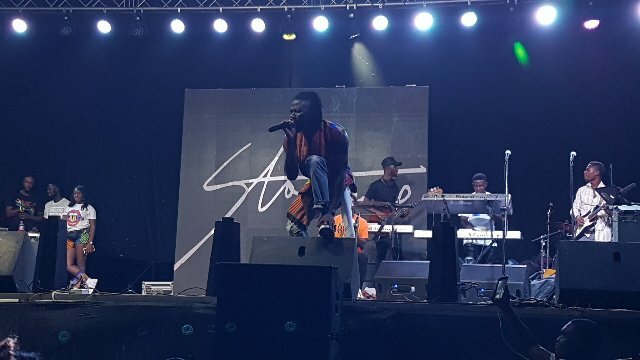 There were other amazing performances from many other musicians including BET Award winner Stonebwoy, Medikal, Cina Soul, La Meme Gang, Kwesi Arthur, Shaker n Kojo Cue and many others. This annual musical event is organized by BBnZ. The apogee of Afrochella is to highlight absolute talents from and within Africa. The festival covers various parts including art and fashion, food and live performances. This year’s edition was yet another great one.